Tech week is OVER. And while yes, it’s certainly a relief to have all THAT out of the way (“Can you stand here?” “Why? I always stand there.” “I know, but can you stand here? This is where the light is.” “Well, can’t the light be over there?” “No, it really can’t.” “Fine. I’ll act over there. In the dark.”) it was honestly a much smoother tech week than it had the mad potential of being. For the sake of sanity, we remained a fully integrated cast to work through the tech cues (there was just no appropriate way to strictly divvy the many hours up between Wittols and Cuckolds only), which has allowed us to get through the process very quickly. However, I’d be lying if I said we haven’t run into a few…bumps. You see, the nature of double casting means that one actor has to watch while the second actor learns, and that first actor may not get a moment to learn it for themselves before they’re expected to reproduce the second actor’s work. Coupled with the pressure of previews and opening looming before us, some of us aren’t handling it as well as others (and really, I totally see why they’re terrified), but we are ultimately working through it quite well. Seriously. The two casts were separated at last for dress rehearsals. These costumes are beautiful, intricate, and HEAVY; layers upon layers of clothes for each and every one of us. Jeffrey Schoenberg has done us proud, and I think he’s very proud of us. He told me on the first day of dress rehearsal that he was so pleased to see how well we all are “inhabiting the clothes;” I know exactly what he means, but he deserves full credit for making it so easy for us! His attention to detail has given each of us a wardrobe which REQUIRES you to move appropriately. You can’t slouch in a corset and you can’t shuffle in a long skirt. One MUST glide in a perfectly vertical and graceful manner, or else you will find yourself tripping over your three skirts or falling out of the top of your exciting underwear. I wish we’d had the full costumes earlier; not because I’m having any trouble, but because I’m having WAY to much fun — both in learning how my character relates to her clothes, and watching the men negotiate with their tights and bum rolls (a sort of cylindrical pillows tied around one’s waist and resting over the back of their hips to hold out their voluminous skirts or puffy Prince Charming pants. It gives your waist an illusion of slimness and straightness, but you do also appear to be wearing a pillow on your bum. To the Jacobeans, this was apparently totally worth it.). Well, yes. But it’s puberty with a paying audience. I’m not certain I like the sound of that. You know what, though? I’m not worried. 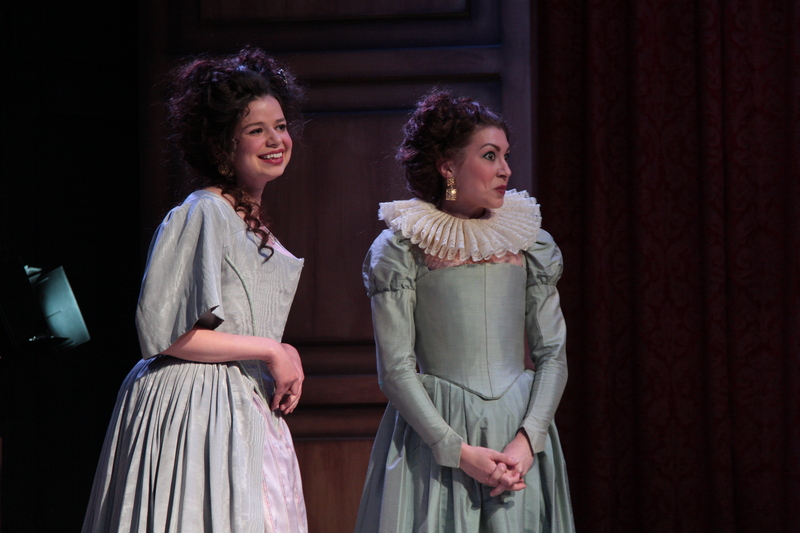 In fact, I don’t care if my wig comes off during curtain call; I get to be onstage tonight. 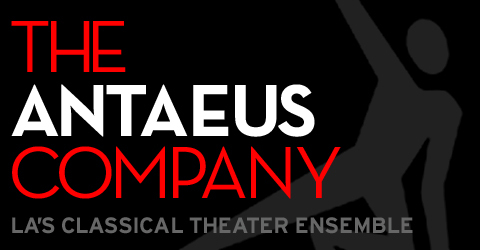 Like I said, previews are open to the public, and tickets are available through the Antaeus website. I hope you’ll be there! We’d love to have you, and you don’t want to miss it. Especially if my wig flies off in curtain call. Ladies and gentlemen, Tech Week has commenced. The night began with Ms Hackett herself handing out the much deliberated, long labored o’er, and hitherto utterly secret Cast Lists. That’s right. We have now become a cast divided. (Only not really, considering the Thursday/Friday mystery casts and so forth, but still. Highly dramatic, nonetheless). 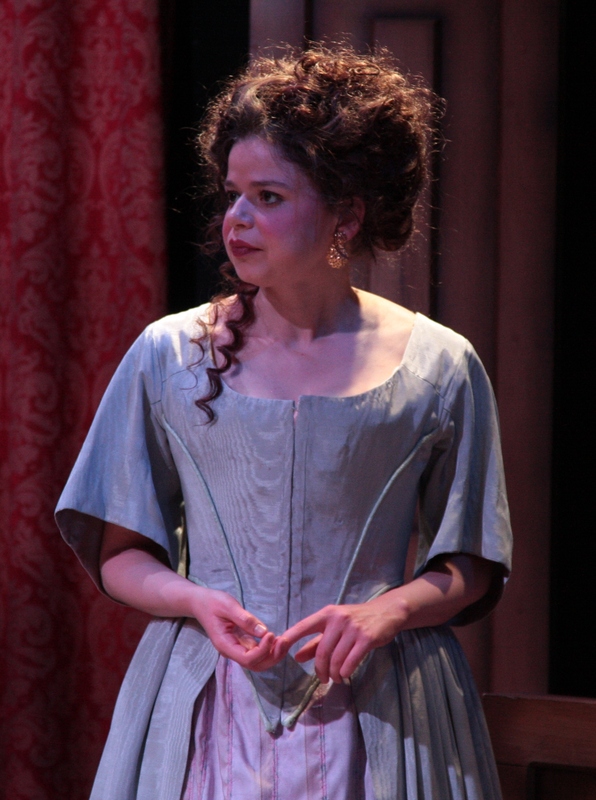 These lists were complete in every respect excepting that each cast was as of yet unnamed; it is customary for Antaeus to name the separate casts after families or lines from the play, such as the Madmen and Fools casts for King Lear. In our case, we have the dubious honor of being either Wittols or Cuckolds. It was already determined that the Cuckold cast would open on Thursday and Saturday, whilst the Wittols would do so on Friday and Sunday…but which cast was which? Here began an unassailably objective (and dare I say rather complex) selection procedure, beginning with a coin toss. Bo flipped. JD called. Bo won. Bo reached into the hat and withdrew… CUCKOLDS. And thus, the casts were named. And there was much rejoicing. Oh my God! Did I even mention the set, yet? Tom Buderwitz has built us a BEAUTIFUL stage to play upon. Not only beautiful, but HUGE. The playing space has been extended a couple of feet out into the house and the walls seem to extend forever upwards into the heavens. It’s truly amazing what Tom can do with that space — it looks like something out of a museum and a palace all at the same time. There’s no other word to describe it except grand. The set is grand. As for the costumes, I’m afraid you’ll have to wait a little longer for my commentary on those; I haven’t seen any of them yet. Jeffrey Schoenberg and Jessica Olson lurk around the theater, plucking actors from the proceedings and spiriting them upstairs to be fitted; moments later they all seem to come down glowing with glee about whatever it is they’re going to be wearing and telling us all to “wait until we see it.” I’m told, however, that I won’t have my fitting until the end of tomorrow, and it’s KILLING me. Ah well. At least I have the magical lights and music cues to keep me happy. They are delightfully beautiful, and add an entirely new level of momentum to the play that left all of us rolling with laughter as we worked through them. Who doesn’t want entrance music whenever they appear or red lights of fire whenever they’re enraged? All of these elements, the set, the costumes, and the lights and music, turned us into over-caffeinated kids on Christmas morning; we have but one more week of this before previews, and the real fun, begin. We performed our first full run-throughs of the play this weekend for the benefit of the Artistic Director and Designers of the show. I don’t think I’ll be the only one of us to say putting all the bits and pieces into sequence again was just a touch frightening. Actually, “abject terror” would be the proper term. Since the first week of blocking rehearsals with the Circle Game, we’ve been taking the show to pieces and working it scene by scene; working in such tight focus, you sort of lose sight of the big picture. Putting it all back together again to see if it worked was a leap of faith, but I’m happy to say that (not without much rifling of scripts and close examination of the posted scene order) it works indeed. Better than that, we got to step back and take a look at the grand scheme of the play, and it’s not nearly so terrifying now as it was at the first reading. These next couple of days, we’re opening it back up and fine-tuning, and then next week we begin tech rehearsals, and the week after, we open. When you put it that way, it doesn’t sound like much time at all. 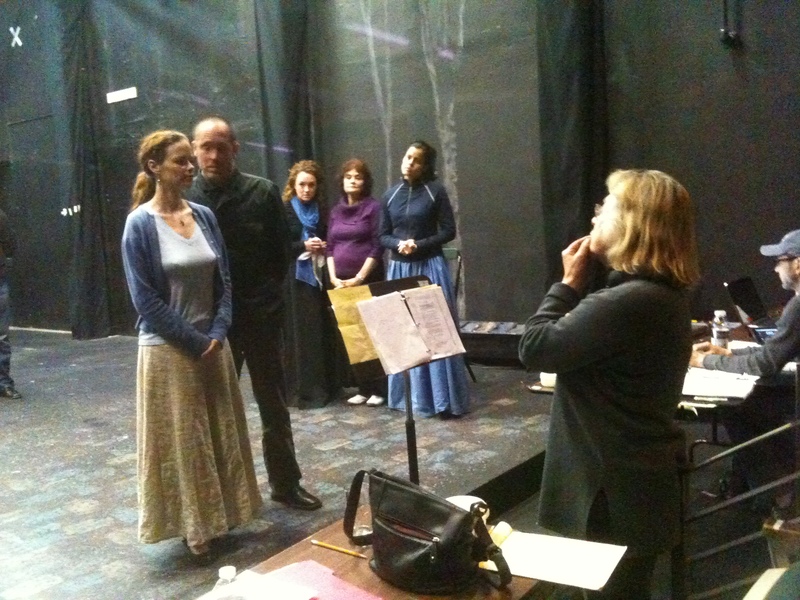 Mark Doerr helps Laura Wernette with her rehearsal corset. And on that subject, we’ve had some news about our performance schedule from our Artistic Director, Jeanie Hackett. 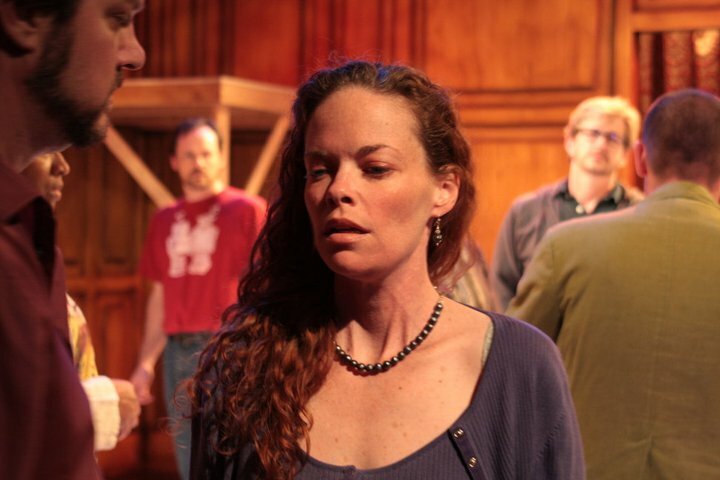 In standard practice, Antaeus casts two actors in each role, both of whom attend rehearsals and work with different combinations of actors throughout the process. During tech week, the actors are sorted out into two teams which remain fairly immutable throughout the run of the play (exceptions being when your counterpart is not able to make a performance with their cast, etc). That’s the arrangement we’ll be sticking to for the Saturday and Sunday performances, but the new and exciting element is that Thursday and Friday shows will now be performed by a mixture of both casts, a random assortment of actors that will be different each night. I hope you think that’s awesome: I do. I’m just not looking forward to saying goodbye to half of the cast for the next month and a half; they’re too much fun. Secondly (and perhaps not entirely honorably), I’m just a wee bit competitive. Therefore, the idea of another group of actors interpreting the material in ways I’ll never get to play with does not please. Thirdly, there’s going to be an element of danger in these shows; as if performing weren’t enough of an adrenaline rush already, you don’t know quite what the other team has been up to, and you’re going to surprise each other when you get out on that stage. You have to stay active and open to keep up with each other. It will be intense. You preservers of mankind, life-blood of society, who would live, nay who can live without you? O paradise, how majestical is your austerer presence! How imperiously chaste is your more modest face! But O how full of ravishing attraction is your pretty, petulant, languishing, lasciviously-composed countenance, these amorous smiles, those soul warming sparkling glances! In body, how delicate, in soul how witty, in discourse how pregnant, in life how wary, in favours how judicious, in day how sociable, in night how — O, pleasure unutterable! HAMLET: Never make known what you have seen tonight. HORATIO and MARCELLUS: My lord, we will not. HOR: In faith, my lord, not I.
MAR: Nor I, my lord, in faith. MAR: We have sworn, my lord, already. HAMLET: Indeed, upon my sword, indeed…Never to speak of this that you have seen, swear by my sword. HAMLET: Swear by my sword never to speak of this that you have heard. GHOST: Swear by his sword. That you know aught of me — this do swear, so grace and mercy at your most need help you. MAQUERELLE: Visit her chamber, but conditionally you shall not offend her bed; by this diamond! MAQ: Nor tarry longer than you please; by this ruby! MAQ: And that the door shall not creak. FERN: And that the door shall not creak. MAQ: Go to, I’ll keep your oaths for you. Remember, visit. But he that breaks heart’s peace the dear soul kills. As fetterless as is an emperor’s. Is lightly felt, or seldom struck again. From thee than crown a richer gem shall part. Beneath God naught’s so dear as a calm heart. All right, fine. It’s pretty unlikely that it happened quite that way. In fact, I can’t really claim that Malevole, in his infancy, had anything to do with Hamlet at all. Perhaps the bits of satire above were put in very late in the writing process after some critic saw the Jacobean equivalent of an invited dress rehearsal and snidely suggested that Marston was taking hints from Shakespeare’s playbook. Let’s face it; there’s only so far I can go comparing and contrasting key plot points of Hamlet and The Malcontent before you will know the ins and outs of the entire play, so perhaps I should make my point and close for the week. My point is this: whichever came first and however the inspiration came about, in writing The Malcontent , Marston managed to rewrite Hamlet as a revenge-comedy, something he himself seems to have been aware of and amused by at the time of the play’s publication. I think Marston took umbrage to Prince Hamlet as a heroic figure; in Hamlet, the pursuit of revenge is a futile quest that puts you through hell and leads you to destruction. In The Malcontent , revenge is difficult, messy, and potentially dangerous…and absolutely worth every moment of it. The best actors in the world, either for tragedy, comedy, history, pastoral, pastoral-comical, historical-pastoral, tragical-historical, tragical-comical-historical-pastoral scene individable, or poem unlimited.